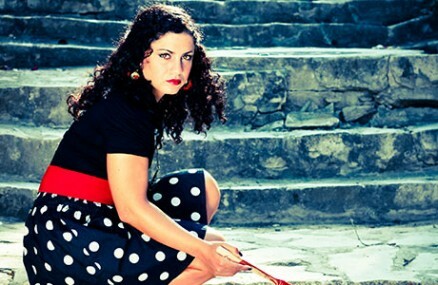 Firebrand Tunisian singer, songwriter, and composer Emel Mathlouthi stands with the great divas of the Arab World but has also inherited the legacy of protest singers from the ’60s. She gained attention when her song “Kelmti Horra (My Word is Free)” was adopted by the Arab Spring revolutionaries on the streets of Tunis and soon became an anthem throughout the regions. Mathlouthi’s gorgeous, intricate sound moves between rock (she plays guitar and cites Joan Baez as an influence), trip-hop (she has collaborated with Tricky), and electronica, with a strong Arabic music connection. Her intimate songs express love, suffering, and longing for home, in a deeply confessional style verging on sacred Sufi music.